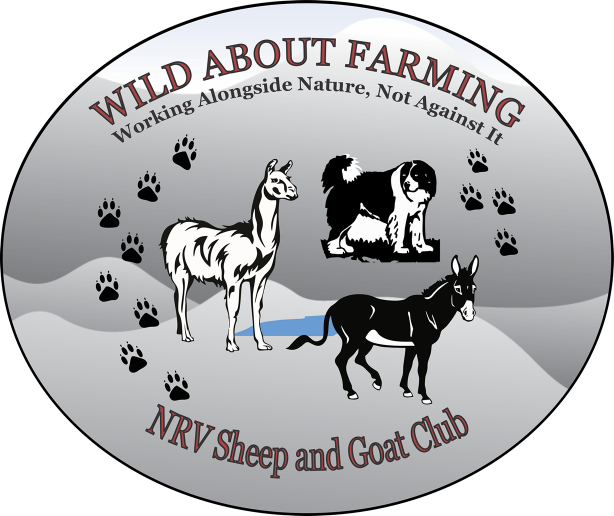 The New River Valley Sheep & Goat Club was established in August of 2014. We are a network of sheep and goat producers dedicated to promoting, advocating for, and growing the number of sheep and goats in the mountains of rural Southwest Virginia, as well as nearby regions of North Carolina and West Virginia. At this time, we boast over 150 Member Farms, totaling almost 500 individual members. Our members understand the importance and value of sheep and goats to the economic health of our communities and agricultural diversity of our communities, as well as our responsibility to educate the general public regarding issues related to farming, working with animals, and rural economic development. Support our Sheep and Goat Farmers: We feel a strong responsibility to support our members, including those who are established producers of sheep and goats, but also to guide and encourage our young members and those who represent our future generations. Our mission is to provide that support wherever possible and to also provide a united sense of community among our member producers. Our sheep and goat producers generate many benefits to our communities that are provided by the raising of sheep and goats on our hillsides and the NRV Sheep and Goat Club is here to help. Support our Artisan Members: One vital part of our organization are our artisan members, those of our members who use their artistic skills to create many unique and specialized handcrafted products. Our talented member artisans create products such as fiber arts (including handspun yarns, knitted and felted items, and wearable art and clothing), goat milk and other soaps, and lotions. Preserve our Culture: We are also respectful of the fact that thousands of years of raising sheep and goats as part of man’s agricultural practices have provided many of the ingredients necessary to allow us to survive, prosper, and live a more comfortable life. Become a part of our network of Sheep and Goat producers: Together we can help educate, inform, and this build a strong sheep and goat industry in Southwest Virginia. We welcome all aspects of the sheep and goat industry, including all meat, milk, and fiber breeds as well as derived products, such as pelts, fleece, fiber, and health and beauty products and individuals who keep sheep and goats just for pets. Access our Member Directory; Find help, knowledge, and resources through our members. We list information about breeds and specialties of each of our members. An additional benefit of being a club member is, your farm will be included in our directory. Participate in Exclusive Events, Festivals, and Sales: We assist in marketing our members sheep & goats, generally our members receive higher prices through collectively shipping larger loads. Also, we organize trips to festivals and hold educational meetings!